Become this ghoulishly garish gourd. Featured in Insanitarium Haunted Attraction. 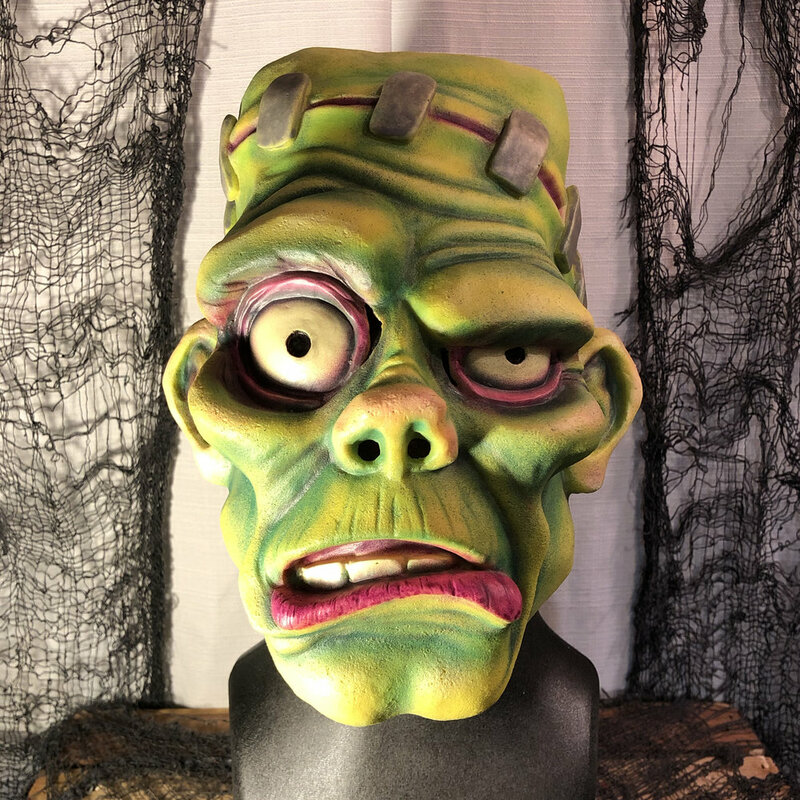 Retro-modern take on the classic Frankenstein’s Monster. Limited visibility, but still wearable. Great display piece. Hair optional. 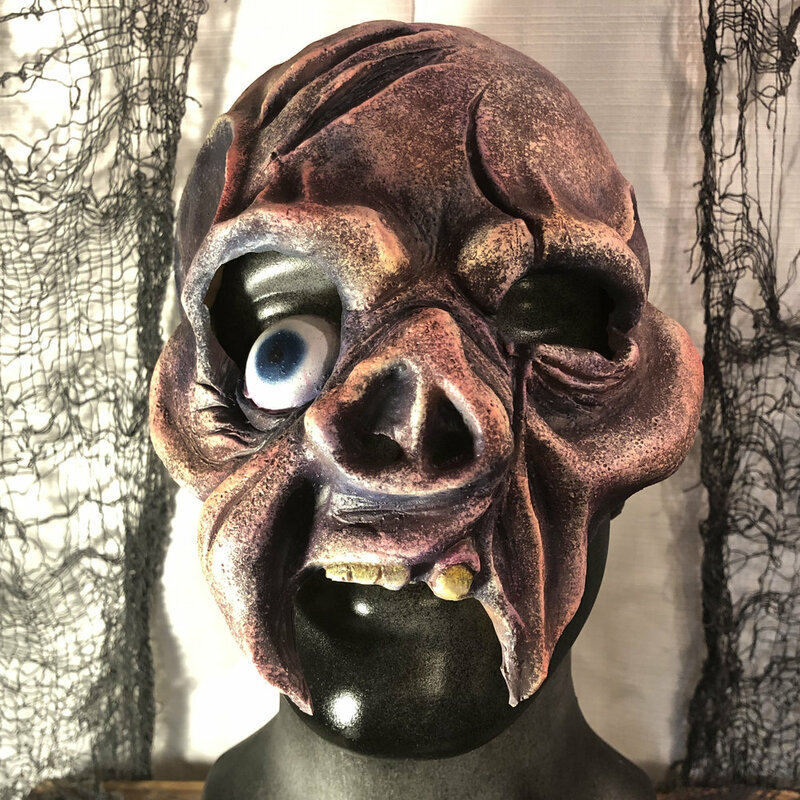 Become the silent observer from Insanitarium Haunted Attraction. Crawler’s mask fits similar to a facial prosthetic, not full coverage. These steampunk goggles are perfect to finish off your cosplay. The green welding lenses can be removed and clear glass lenses(included) can be used instead. Become this wise cracking, wooden doll. Dudley’s mask fits similar to a face prosthetic, not full coverage. 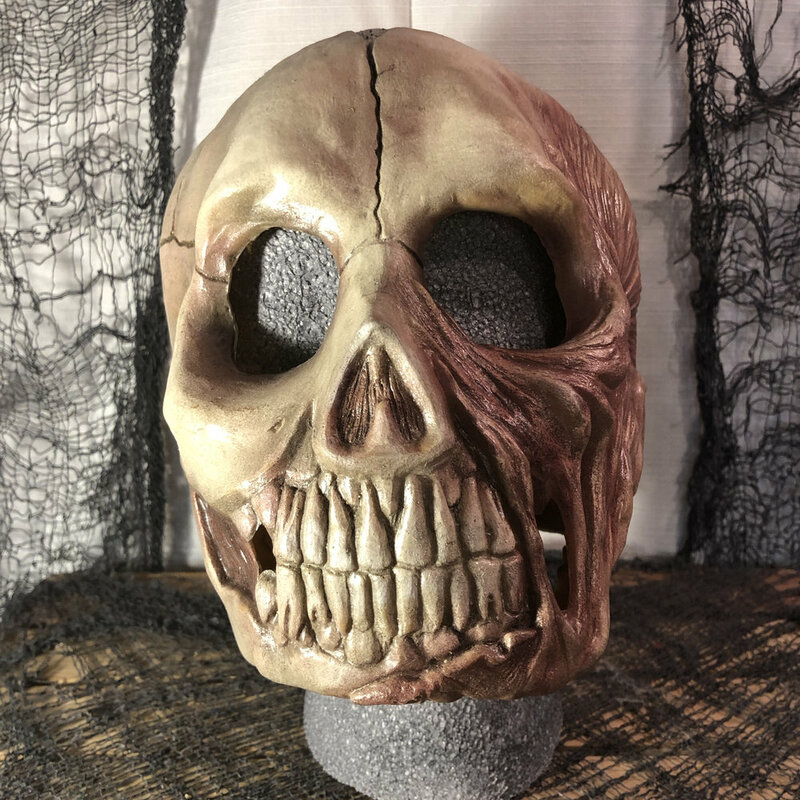 This broken doll mask will fit most adults, but is on the smaller side. When worn by a large man, the juxtaposition can be quite disturbing. Lipless Zed covers your face and front of your neck. When worn with a hoodie, you will be completely disguised. The chinless version of the Wolfman is perfect for men with beards. Have the appearance of wearing someone else’s stretched skin. Become the evil doctor, featured in Insanitarium Haunted Attraction. Wanna look like a zombie that’s just crawled out of a fire? This chinless mask allows the wearer to have the ability to talk while disguising your appearance. 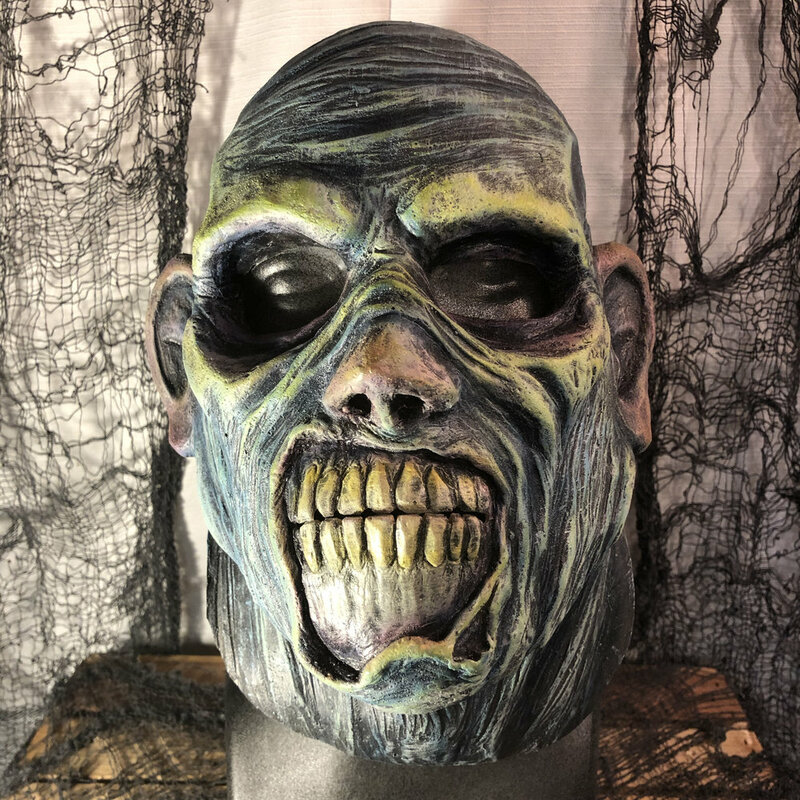 The Mummy is a full coverage sock mask and will fit most average sized adult heads. Care should be taken when being placed on and taken off the wearer’s head as to not rip the fabric.